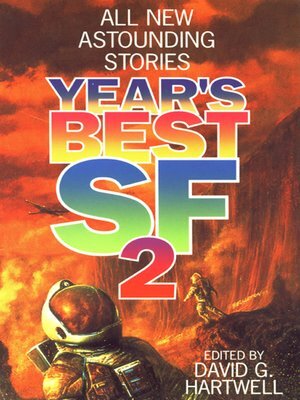 Building on the unprecedented success of last season's Year's Best, award-winning editor David G. Hartwell has once again scoured the magazines and anthologies to bring together the very best of today's edgy, audacious, and innovative SF. Here are machines that dream and stars that sing; tales from notable pros and heretofore unknowns;wondrously diverse stories that share the sense of wonder that is the mark of great science fiction. " Gregory Benford, Terry Bisson, James Patrick Kelly, Damon Knight, Joanna Russ, Bruce Sterling, Connie Willis, and many others!